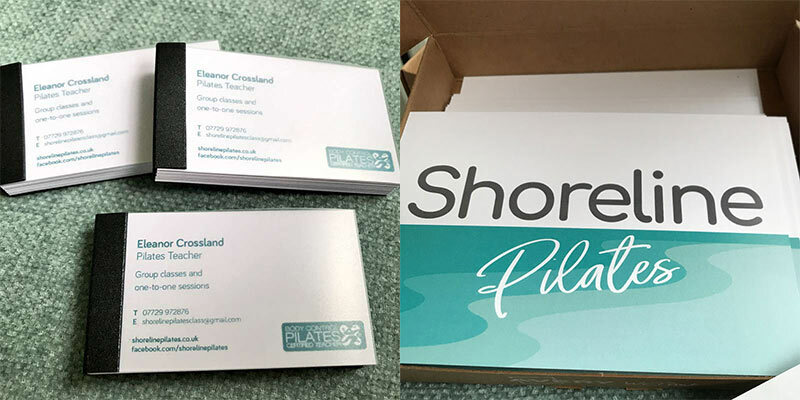 Since qualifying as a Pilates teacher last April I’ve been meaning to get business cards and flyers printed, but I’ve been fabulous at procrastinating. Having finally got my logo sorted and an idea of what I wanted my business stationery to look like, I’d decided to go down the online printing route rather than find a local printer (who often combined design and printing services). I’d spent weeks browsing various websites and beginning to design cards and leaflets, but had always abandoned them, put off by the complexity of the website design template or the inexplicable costs. I finally asked for recommendations and was advised to visit Avery WePrint. A friend had printed some really fun stickers for her wedding guests and they looked awesome, so I was hooked. The most important product for me was business cards. As well as traditional business cards, Avery WePrint offer business card pads - a little booklet of cards bound in a protective case. Carrying around business cards means that they often get scruffy – not the image I want to portray – so I loved this option, although the square business cards caught my eye as well. The design process was really easy – I was guided through the process of choosing size and style, with the prices displayed in a table to the side which was instantly updated according to the options I selected. As well as the standard order sizes – 50, 100 and so on, there’s also a custom number calculator – perfect for low volume orders. This was totally different from other design sites I’d tried, and I loved the transparency of the pricing. As I already had my business card design saved on my Mac as a jpg, it was super-easy to upload the logo image and scale it accordingly. There’s also a design your own option, and a quick play on this looked like it was easy to use - I loved that the colour selector meant I could choose the precise colour of my business. 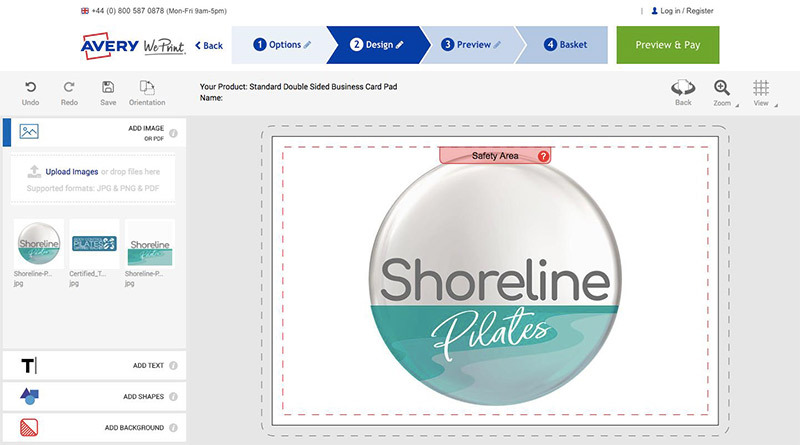 The site has a ‘safety area’ indicator meaning that you can also create your design and be confident that it won’t be annoyingly cropped at the edges. The ‘save’ option meant that I could come back to my design and review it later – perfect for a perfectionist like me. To add the text on the back was simple again; I just had to upload and scale the pre-prepared image. Again, it looked straightforward to create my own online again. Onto the business flyers. I opted for the postcards – wanting something that was eye-catching and stood out from the more standard business flyers that are offered by other people. As I wanted to include quite a lot of information on the cards, the A6 size was a perfect option for me. Like the business card design, I could flip from front to back design, and create my own look online as well as upload a pre-designed version. I chose to go for a bold look – filling the back with a full-card logo, and entering more detailed information on the front. For the front I used the ‘design your own’ option – adding in my own text in text boxes and moving it around, adding in my logos too. I could have played for hours here to get my look. In fact, it took a whole train journey of 3 hours until I was happy with my design! I struggled a little bit with the text and logos on the front – I think because I’m not a graphic designer I worried about balance and text size and so on, but eventually I took the plunge to confirm the design. Again, I could change the text colour to match my logo, and add in different text boxes for different looks. Oh my gosh, I absolutely love the business card pads. They look so smart and the cover means that they stay crisp and clean when I’m carting them around in my Pilates bag. They pull out of the binding easily and with no tearing too, which is an important factor.